New York State is a yogurt industry leader — now making more Greek yogurt than Greece — with a production rise that matches a growing national appetite for the product. That craving is calculable: From 2005-2015, per capita yogurt consumption nationwide increased by roughly 41 percent. New York’s yogurt companies, including Dannon and Fage USA, are a mix of homegrown producers and others that launched elsewhere in the world before establishing a presence here. Alpina Foods, started by two Swiss entrepreneurs in the 1940s, has 10 industrial facilities worldwide, including one in Batavia, N.Y. A third-generation New York State dairy farmer started Sunrise Family Farms, while Agrana Fruit opened a plant Upstate in 2014. Chobani’s founder left a dairy farm in Turkey to start his business in the Southern Tier. Yogurt producers and dairies may differ in origin, size or products, but they’re united by a belief that New York is a great place to make yogurt. 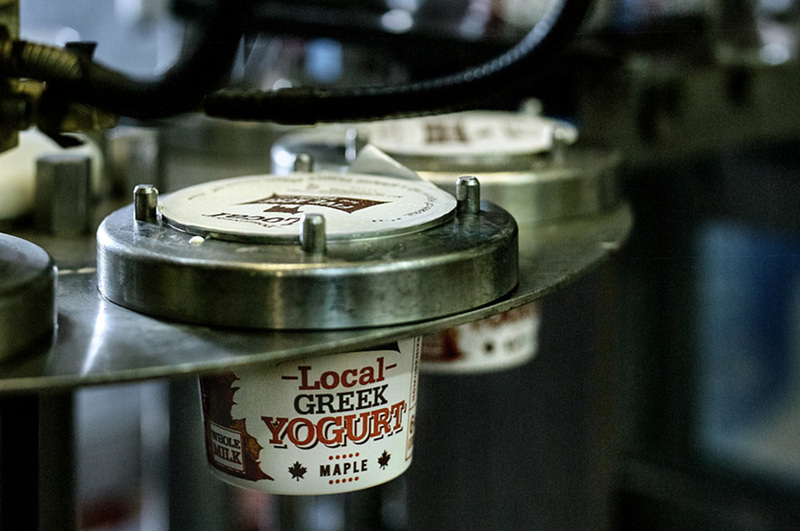 Here’s a deeper dive, into some of the companies that are growing the state’s yogurt culture. 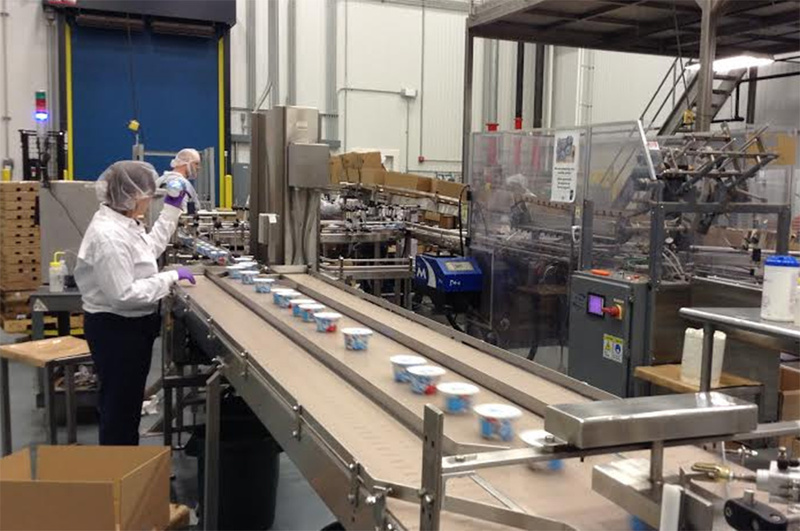 Dannon, a U.S. subsidiary of the France-based global food and beverage company Danone, has been headquartered in the Westchester County city of White Plains, in the Mid-Hudson Region, for more than 25 years. Dannon got its New York start back in 1942, when Daniel Carasso, son of Danone’s founder, came to New York City and opened a shop in the Bronx, before expanding into a plant on Long Island as sales rose. “In addition to being a great region of the state,” Michael Neuwirth, Dannon’s Senior Director of Public Relations says of the company’s Westchester background, “the proximity to New York City makes it convenient to work with business operating partners.” In 2018 Dannon will move its White Plains offices closer to downtown, within walking distance of the city center. While not a manufacturing site, in 2011 the White Plains headquarters expanded with a new Discovery and Innovation Center that brought R&D in closer proximity to the rest of the company’s business headquarters in New York. 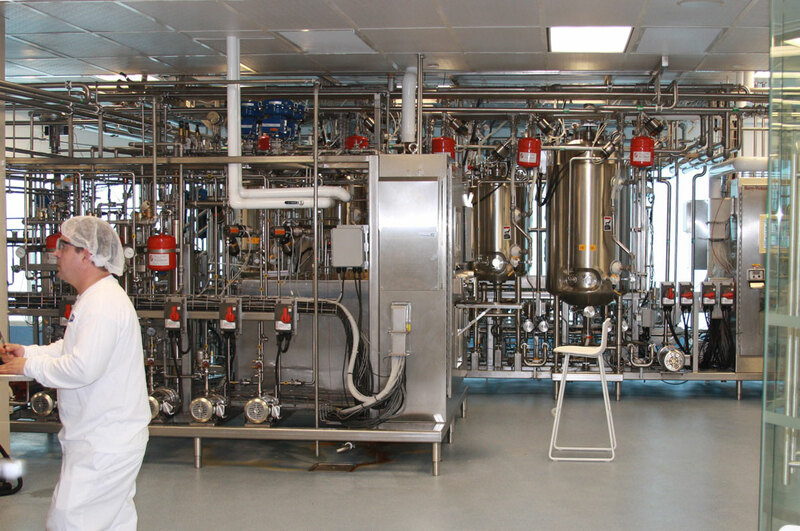 That facility is equipped with a Sensory & Consumer Insights Lab, which has worked on improving the nutrition of products like a kids-focused yogurt, which reduced its sugar by 25 percent. That’s a part of company’s healthy food mission Neuwirth says, citing Dannon’s commitment to Partnership for a Healthier America, a non-profit group working with the private sector to reduce childhood obesity. In 2009, six decades after the company started in Bogota, Colombia, and expanded, Alpina Colombia focuses on dairy and juice products, and boasts more than $700 million in annual revenue. By 2012, Alpina Foods had expanded north with a plant in Batavia, in Western New York, where it has found a supportive business climate at both the state and local level. In 2012, that $20 million manufacturing facility opened in Genesee County, and “is within a day’s drive of more than 25 percent of the U.S. population,” Salim Rayes, General Manager of Alpina’s North American business, says. The plant’s location also lends itself to working with area schools including Cornell University and the Rochester Institute of Technology, which support Alpina with research and product development, as well as a pool of talent. “The Batavia plant will play a major role in the growth and development of the company,” Rayes underscores. The company’s Lysander location is a 107,000-square-foot LEED-certified plant with a production capacity of more than 100 million pounds. “Since our first production run in March of 2014 we’ve already expanded our plant,” Francisco details. Employees are invited to share ideas on improving production processes, cost-saving measures and sustainability through the company’s Fruitful Idea Sharing (FIS) program. “Our employees are our most valuable assets,” Francisco says, highlighting that the region has a valuable skilled workforce. Francisco says that the area’s robust dairy presence has enabled Agrana’s industry-university partnership with one of the state’s top-tier educational institutions, Cornell University, as a member of the Cornell Institute of Food Systems. “Access to the top academic minds within our industry has been game-changing,” she adds, enabling the company to network, participate in seminars and consult professors. Agrana’s location also is ideal. “We can literally jump in the car and be at one of our customers in 90 minutes, and we open our plant to them.” Francisco says the company is optimistic about the yogurt industry’s future and its continued growth in New York State — a view that is “driven by the amazing Lysander community that has been so welcoming, as well as the support we’ve received from regional organizations like the MACNY (Manufacturers Association of Central New York),” a regional employer group that represents many area companies. Looking forward, Agrana will continue to work with customers in New York, the Northeast and Canada. Decades of dairy farming support the strength of Sunrise Family Farms in Upstate New York’s yogurt industry in the Southern Tier. “We believe that the secret to making the best dairy products is using pure ingredients and keeping it simple,” explains founder and third-generation dairy farmer Dave Evans, adding that Norwich-based Sunrise is a proud local employer, with roots in the regional business community. “We benefit from our town’s proximity to the Albany, New York City and Boston markets,” he says. Sunrise produces yogurt and cultured milk products, and manufactures yogurt for many New York State companies. It also partners with several farms and companies, including Five Acre Farms, a Brooklyn-based company that cultivates a network of locally produced and sourced (within a 275-mile radius) products, and is focused on dairy. Five Acre Farms searches for great farmers who employ sustainable business practices, and then works to bring those farmers’ local products to restaurants, grocery stores and other food outlets. “When we first set out to develop our line of cultured dairy products more than three years ago, we turned to the team at Sunrise. They know how to work closely with companies to recipe test and launch new dairy items keeping it simple,” says Dan Horan, Founder & CEO of Five Acre Farms. Sunrise has increased the number of cultured dairy products it makes for Five Acre Farms since that partnership began in 2015 to include additional flavors and varieties. “Our relationship with Five Acre Farms has added to our bottom line, and the premium it pays for milk has helped strengthen our partner farms,” Evans says. “As a mid-size business, we have the flexibility needed to work with start-ups and growing companies,” Evans says of the Sunrise philosophy. To that end, Sunrise also works with 20 smaller family dairy farms, all located in Chenango County and within 30 miles of Norwich. About half of those are Amish-owned, Evans notes, with between 12 and 30 cows. One of the larger farms they use, with 80 cows, is organic. Those farms, and products, include: Yasso (bulk Greek yogurt) and Evolve (kefir). In addition to its Norwich plant, Sunrise maintains a supply and product warehouse in Greene, also in Chenango County, that might also enable future production expansion. In the just the past decade, New York State has become home to Chobani and Fage, industry leaders in Greek yogurt production. In 2005, Chobani founder Hamdi Ulukaya, who grew up in a dairy-farming family in eastern Turkey, came to New York to study at SUNY Albany, and later decided to buy a 130-year-old plant in New Berlin’s farmland in the Southern Tier of New York. He wanted to start a Greek yogurt company in line with his family’s ideals. By 2007, Chobani was up and running — producing authentic strained Greek yogurt with all-natural, non-GMO ingredients, free from preservatives and artificial sweeteners. “We were founded on the belief that people have great taste — they just need great options,” says Jeff Genung, Chobani’s Senior Manager of Corporate Communications. Chobani’s New Berlin plant has expanded from its original footprint, and is the basis of Chobani’s East Coast operations; they also have plants in Twin Falls, Idaho, and South Victoria, Australia. “Since the beginning, we’ve been committed to sourcing the freshest milk possible from hundreds of dairy farmers in our local communities,” Genung says. For Chobani, that production ethos extends to a values-driven approach across the company, including sharing a financial stake in the company with employees, the hiring of refugees and immigrants, and giving back to the communities where they live and work. Genung also says that the Southern Tier has provided a “dedicated, passionate workforce that’s risen to the challenge time and again,” explaining that the company has been able to foster a close-knit community in each of its New York hubs in Norwich, New Berlin and New York City, with nearly 1,000 employees across the state. New York State’s thriving yogurt industry, and work with farms across the state, coincides with a renewed focus on consumer health, and use of quality locally produced and environmentally responsible ingredients. 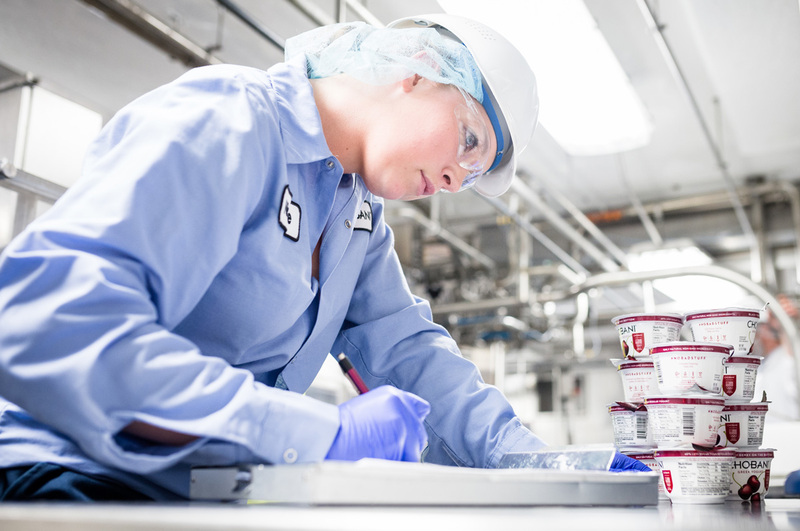 Producers from Sunrise to Chobani are both innovating and adhering to high production standards. 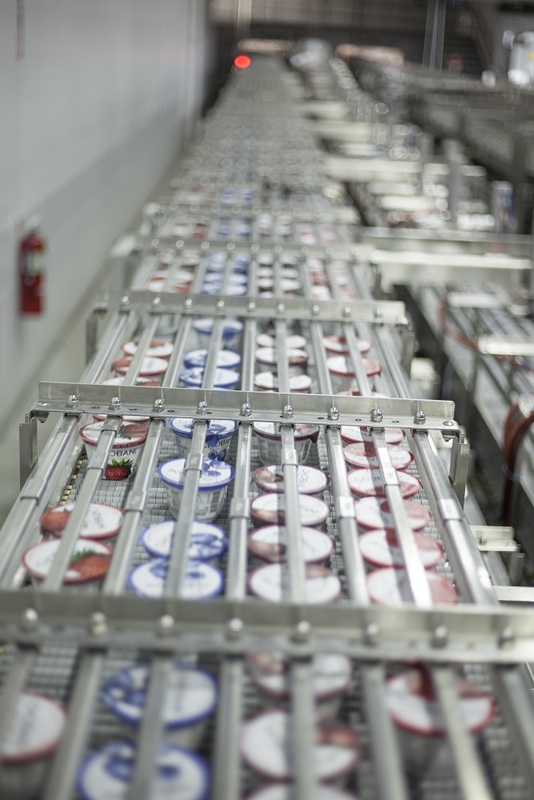 Fage USA has grown its business since opening a plant in Johnstown, in the Mohawk Valley, in 2005. The state’s ongoing commitment to the yogurt industry includes industry gatherings, support for renewable energy in agriculture and for workforce development initiatives such as the dairy processing center at SUNY Cobleskill, which offers hands-on experience toward a degree. At Sunrise Family Farms in Norwich, farmer Dave Evans outlines goals that mirror some of the core ingredients in yogurt’s success, both in New York and elsewhere: “We founded Sunrise Family Farms with three goals in mind — preserving family farms, supporting other people involved in local agriculture and producing a quality product at a fair price.” That kind of focus on quality and product is propelling the New York State yogurt industry, and its many producers, forward.